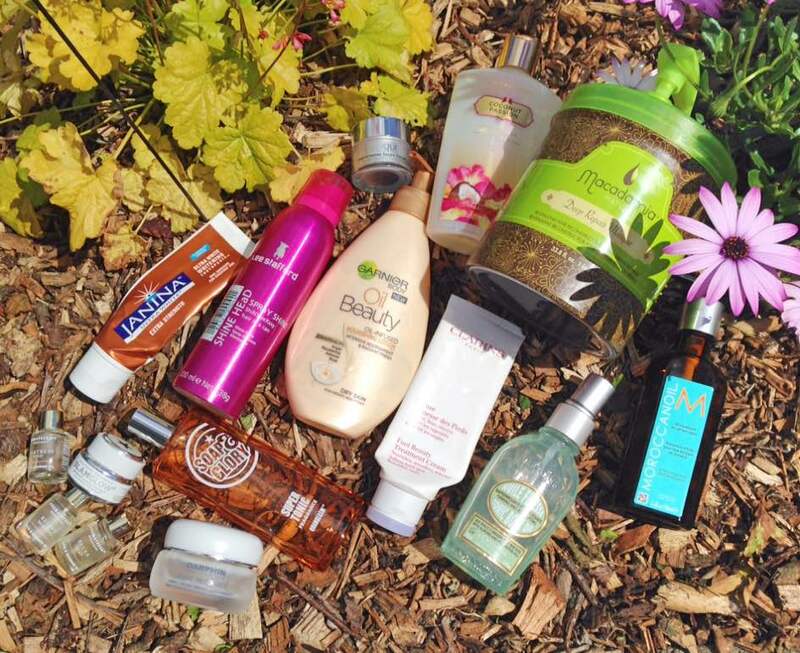 Empties & speedy reviews #13 featuring L'Occitane, Clarins, Clinique & more! My empties bag is full again so it's time to give you some speedy reviews of the products I've used up. I have a mixture of hair, face and body products with one random product in there too. I finished a bottle of Moroccan Oil, which is a product that that I can't use every time I wash my hair because it creates a lot of build up but I can always rely on it to add shine when my hair is looking dull. I received a mini bottle of it in a Beauty Box a few months ago so I don't need to repurchase at the moment. Finally for hair products is Lee Stafford Shine Head Spray Shine, which is a finishing spray to add shine, as the name suggests! I like this product and will repurchase at some point but I have other finishing sprays to use up at the moment. I finished a small tub of GLAMGLOW Supermud Clearing Treatment which I find brilliant for using on spots, rather than on all of my face. This is a brilliant face mask for spot-prone skin. Spots just dry up and disappear very quickly when this mask is used on them. I would like to repurchase a mini pot again rather than a full pot because it would take forever to get through a full sized pot. I absolutely adore Darphin Ideal Resource Smoothing Retexturising Radiance cream, which I reviewed here. I have already repurchased this as it really suits my dry, sensitive skin. Finally for skincare, I finished a tub of Clinique Repairwear Laser Focus Eye Cream, which I really like and will repurchase at some point but at the moment, I'm using a Kiehl's eye cream and loving it. Soap & Glory Orangeasm Super Tonic Fragrance is a beautiful zesty body spray that I really love - I love the Orangeasm range in general and will definitely be repurchasing products from this range in the future because I am addicted to the scent. L'Occitane Tonic Body Oil is a really light, yet very moisturising oil. It is very comfortable to wear and I really love it. I reviewed it here. I really loved Clarins Foot Beauty Treatment Cream - it is more expensive than my usual foot cream, but I will repurchase at some point when I feel like treating myself. Finally in body care, I used up the three mini Aromatherapy Associates Bath Oils that I discovered in my stash recently. I got about 3 baths out of each mini and even though I didn't like Relax initially, it really grew on me. I reviewed them here and would definitely like to treat myself to one in the future. Finally, I finished a tube of toothpaste that was sent to me for review purposes. It is Janina Ultra White Extra Strength Toothpaste and it is the first time that I have featured a product on my blog that I didn't buy myself. I was contacted by the company to see if I would like to test this toothpaste and also their whitening strips, so I wanted to finish it so I could say if it really made a difference. I will have a review up later this week of this product and also the whitening strips. Spoiler alert - I have already repurchased this (with my own money). I will always be very honest and say if a product has been sent to me.